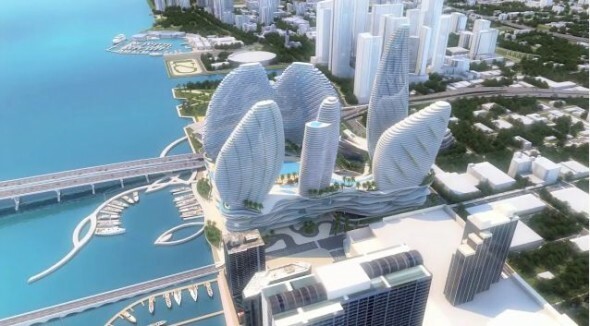 Resorts World Miami is a massive $3 billion dollar project spearheaded by the developer Genting Group and the firm of Arquitectonica, occupying the former home of the Miami Herald within the Omni district. 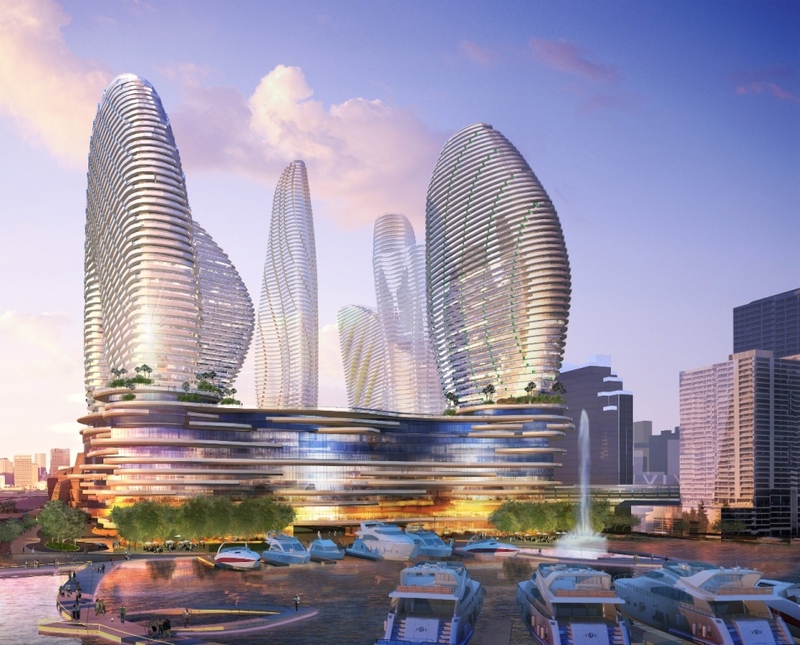 Unlike traditional condominiums, Resorts World Miami offers not only 1000 Miami condos for sale within a pair of towers, it also includes bars, nightclubs, copious retail and much more within a site occupying a whopping ten million square feet and just over thirteen acres. 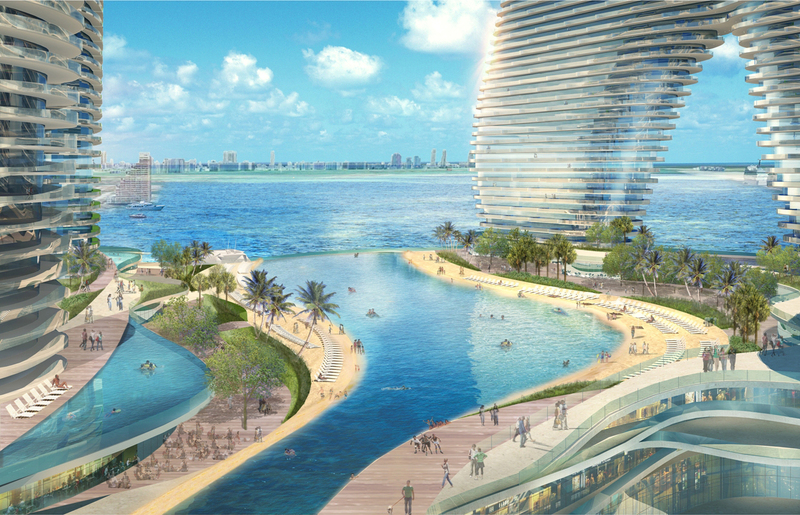 Besides the aforementioned features, Resorts World Miami boasts a massive 3.6 acre rooftop lagoon, more than 45 restaurants, over 650,000 square feet of convention space, 200,000 square foot ballroom and plenty more in store. The sprawling outdoor terraces within the units are only a tiny sample of everything else you will find in this ambitiously amazing project. Considering the mind boggling array of entertainment, shopping and dining found right on the Resorts World Miami premises, you may not need to ever leave to find something new to do. 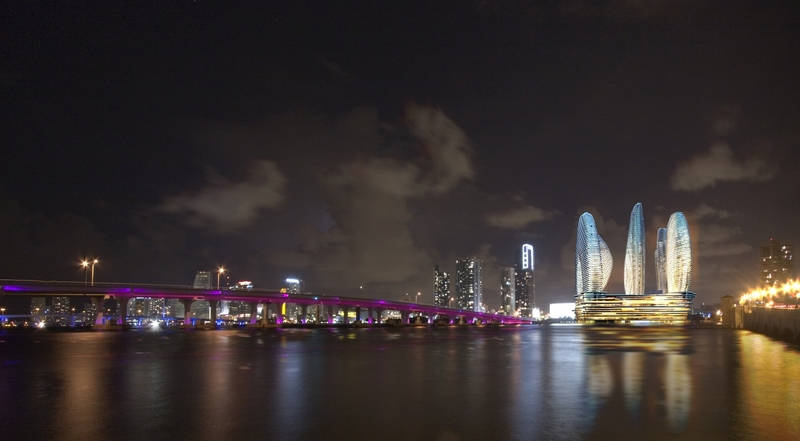 However the downtown area of Miami is nearby so this increases the already enormous amount of things you can see and do. Once you take into account the nearness of Miami Beach to the east, that enormous amount becomes gargantuan. spectacular unobstructed views of Biscayne Bay, downtown Miami and Miami Beach. The podium’s rooftop features a 3.6 acre outdoor lagoon — a size equivalent to 12 Olympic-size swimming pools — and natural sand beaches that will enable guests to swim from Biscayne Boulevard to the edge of Biscayne Bay, a distance of more than 1,000 feet. Each hotel will also have a private swimming pool.